During the days of the Temple in Jerusalem Jews were commanded to bring their first fruits to the sanctuary during the Shavuot (Pentecost) pilgrimage festival. It was a joyous thanksgiving holiday. 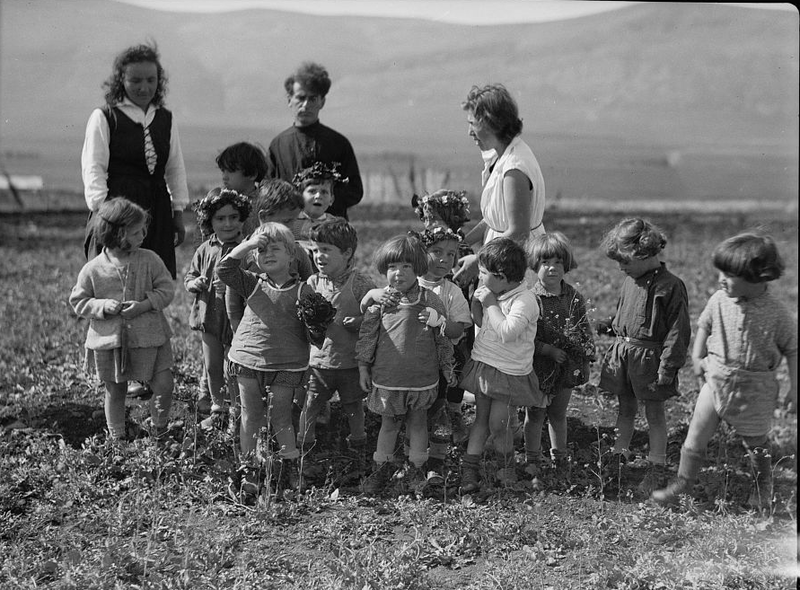 In the early 20th century, the collective Kibbutz and Moshav agricultural movements adopted the holiday to exhibit their produce and farm equipment. The new "tradition" continues to this day. 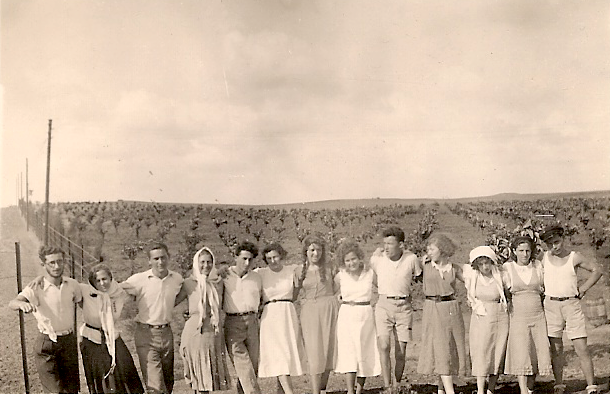 This photo is from Kibbutz Naan, dated from Shavuot 1932. I know only one of the people in the photo: the guy wearing glasses on the left is my dad. I'd love to find out who the others are.